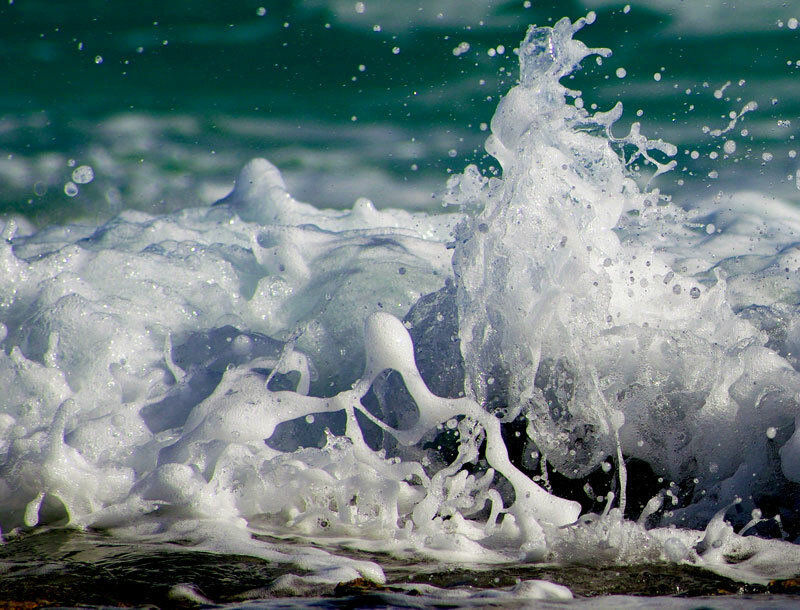 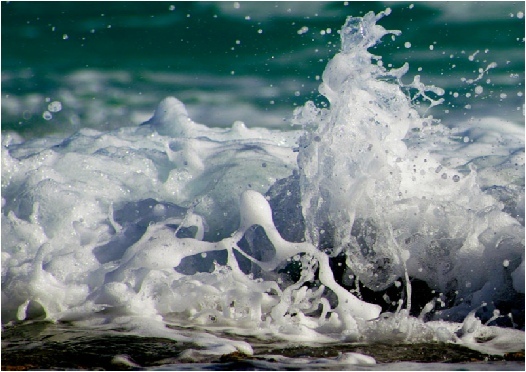 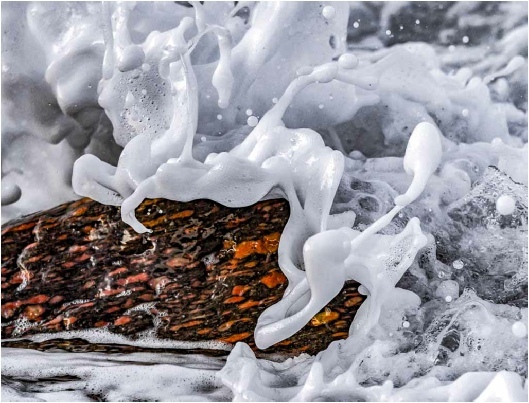 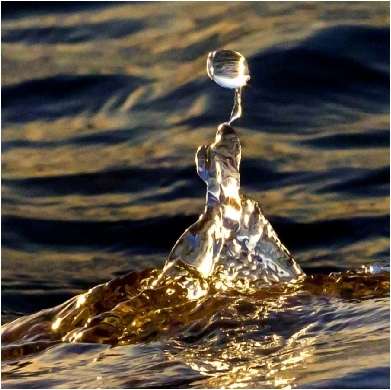 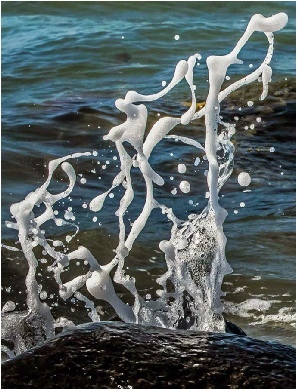 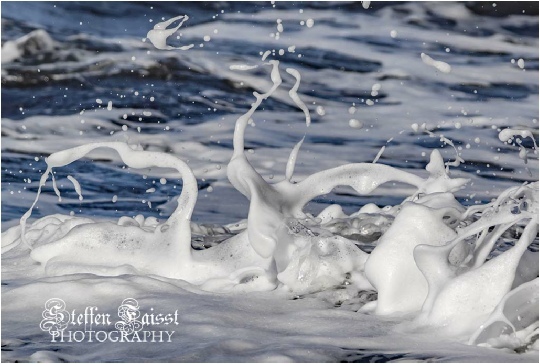 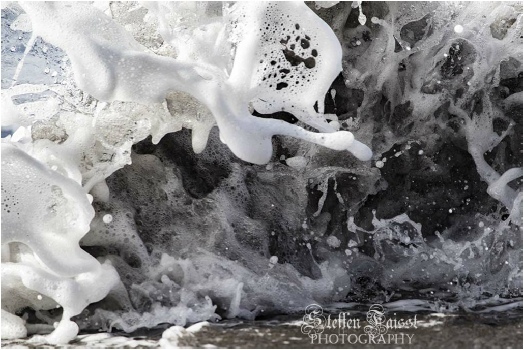 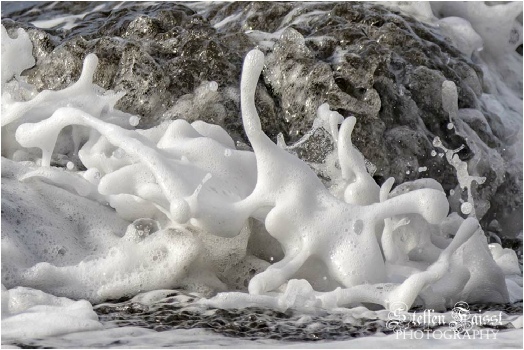 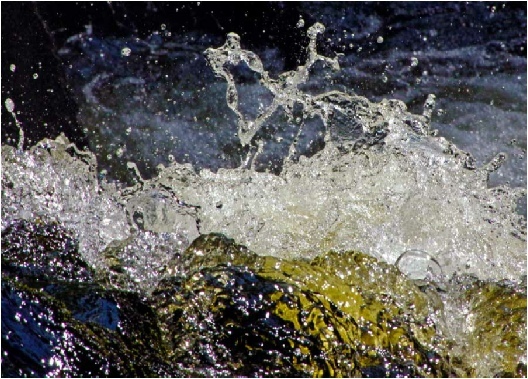 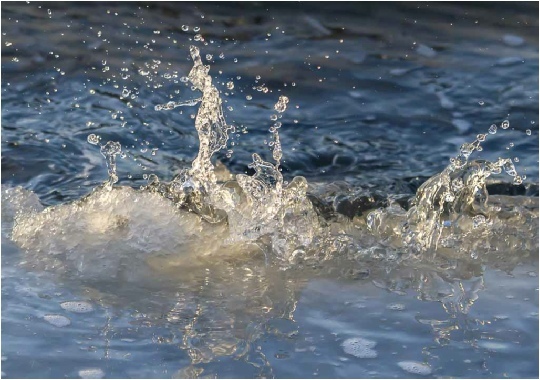 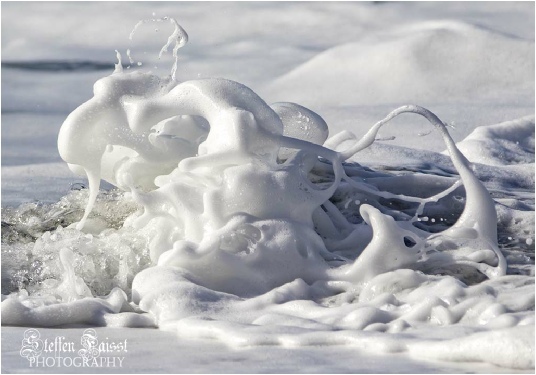 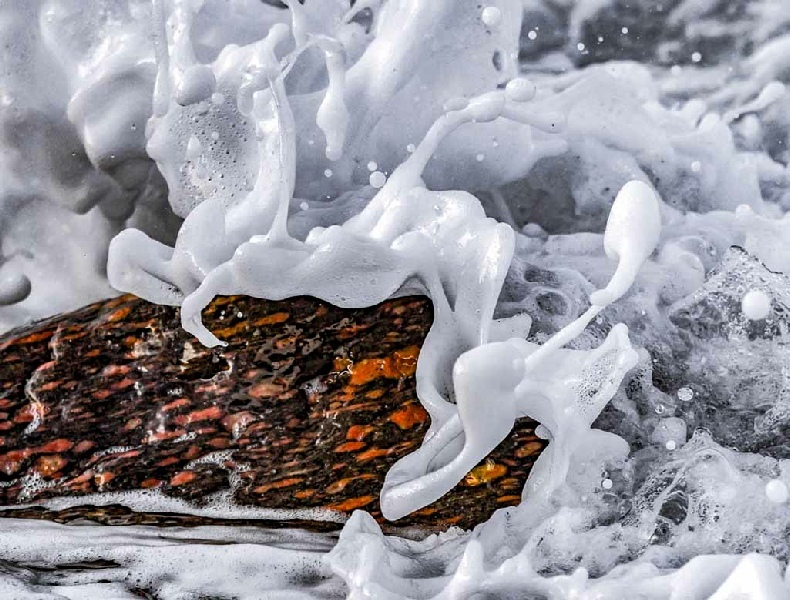 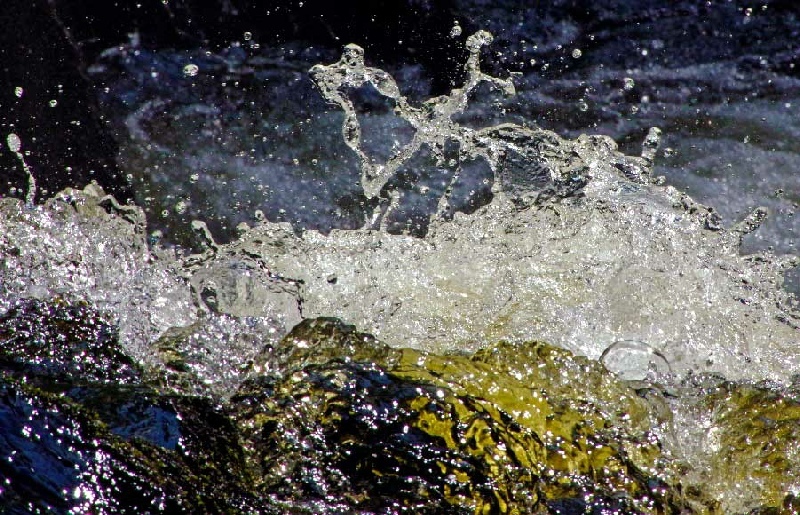 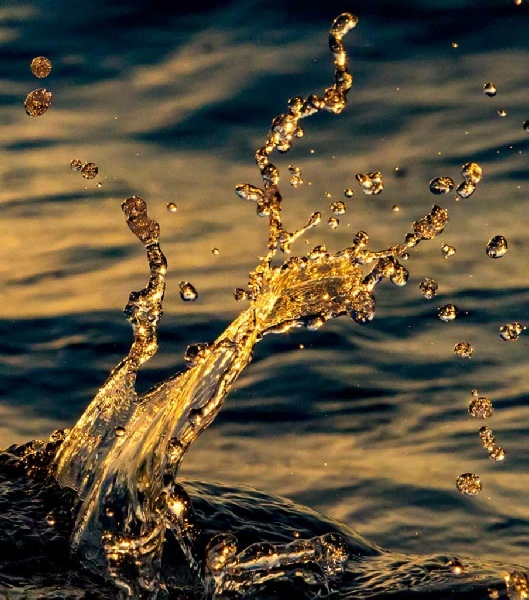 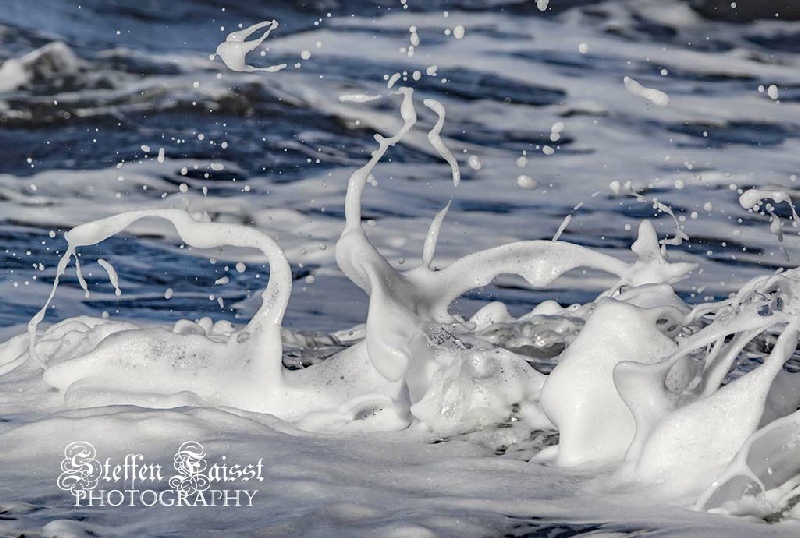 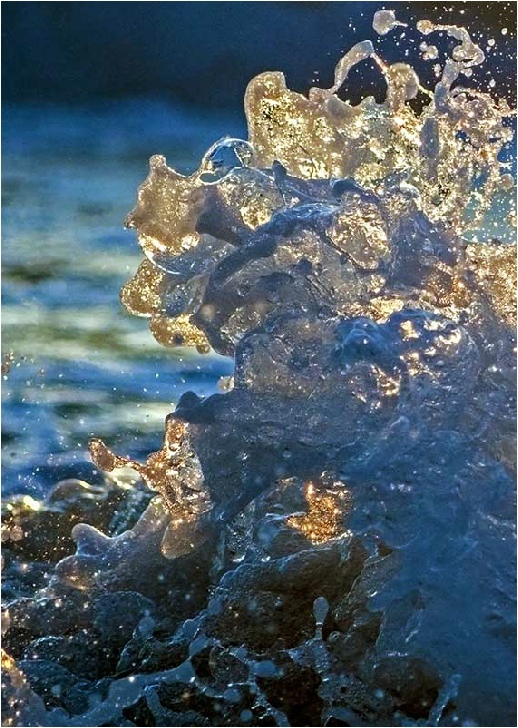 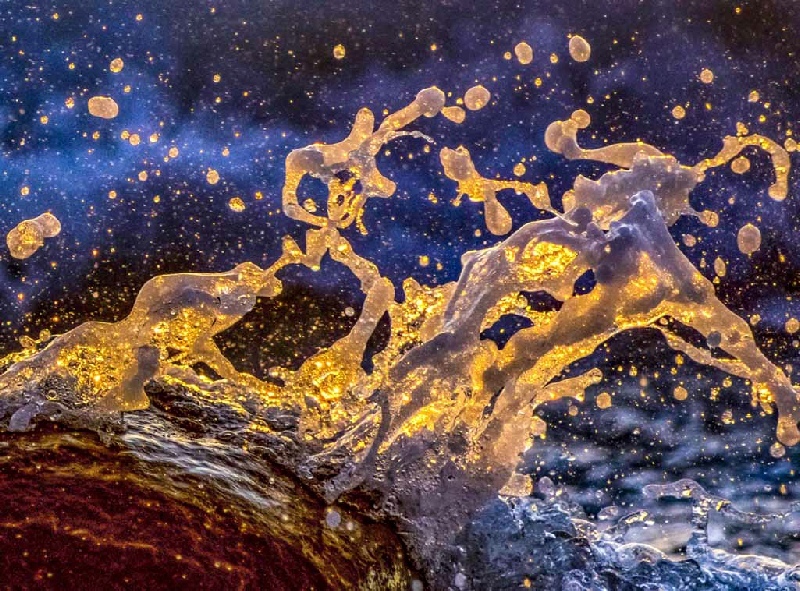 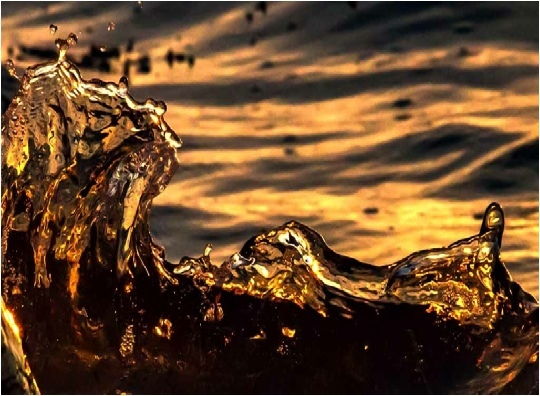 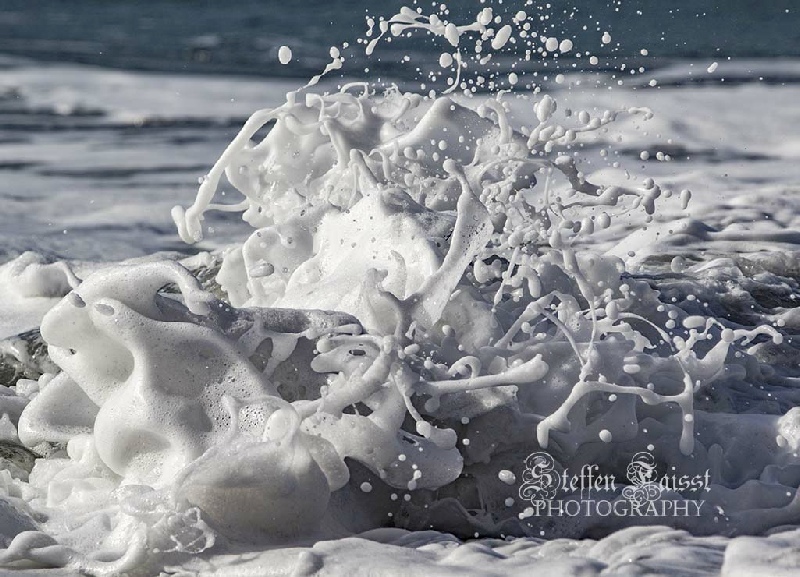 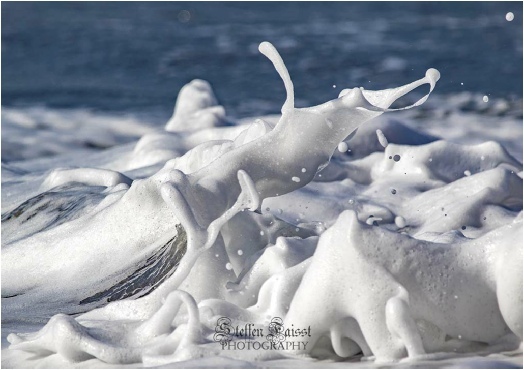 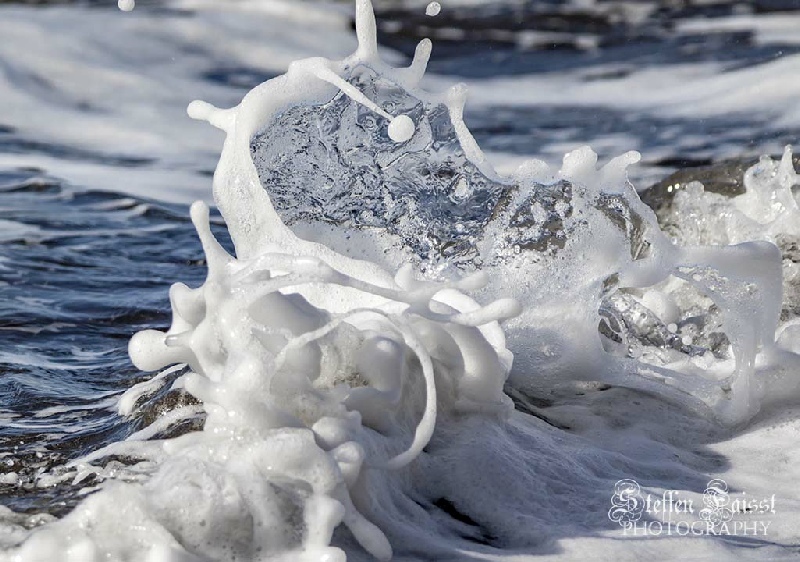 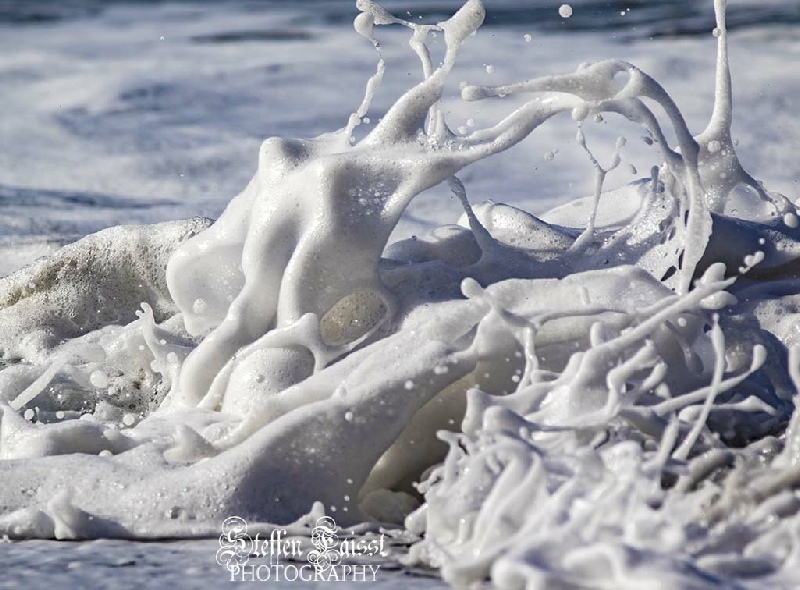 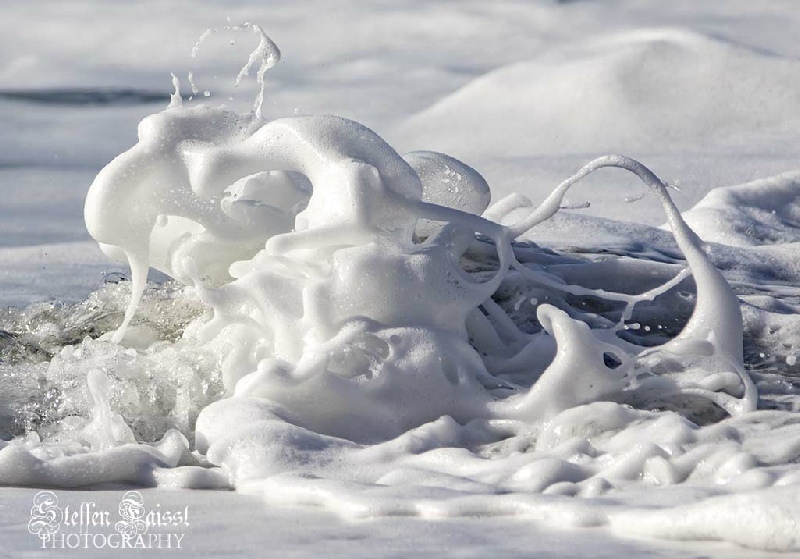 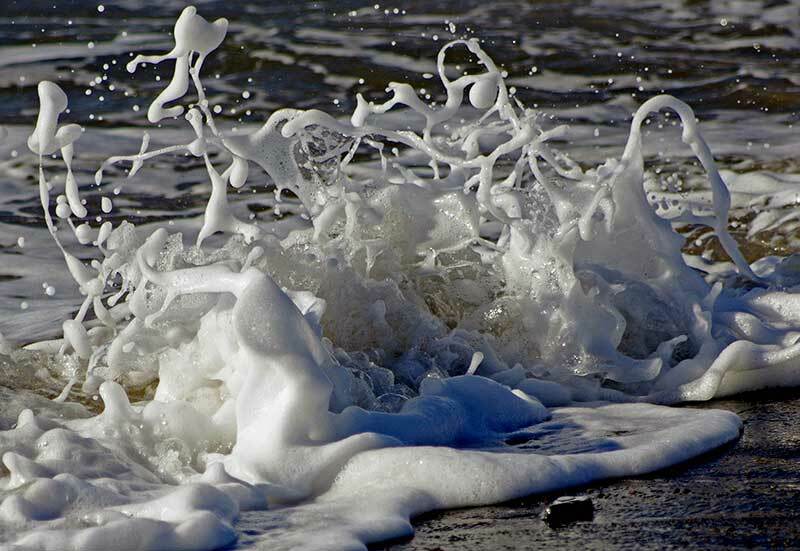 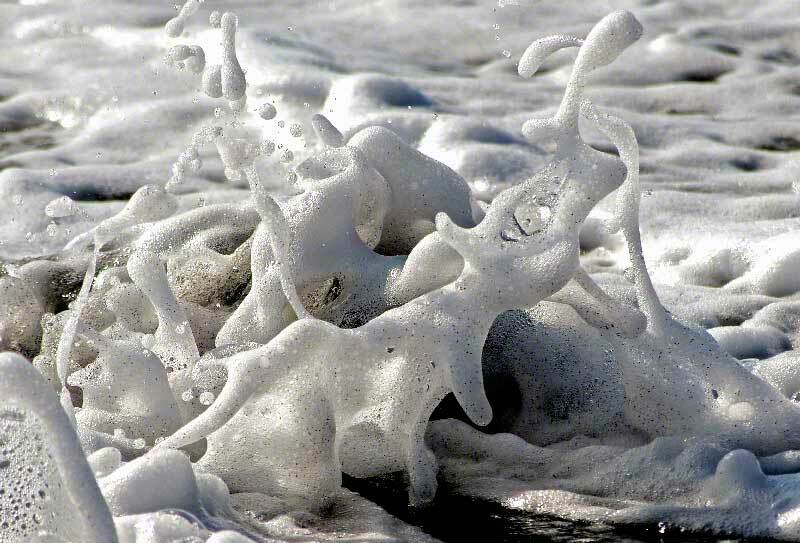 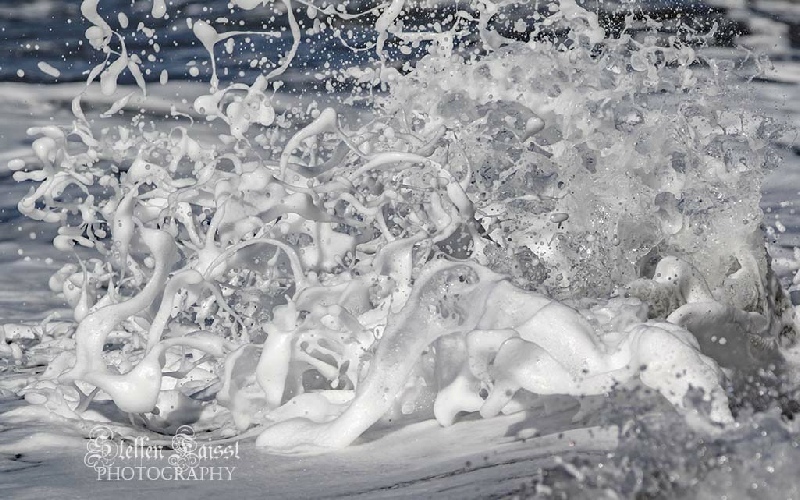 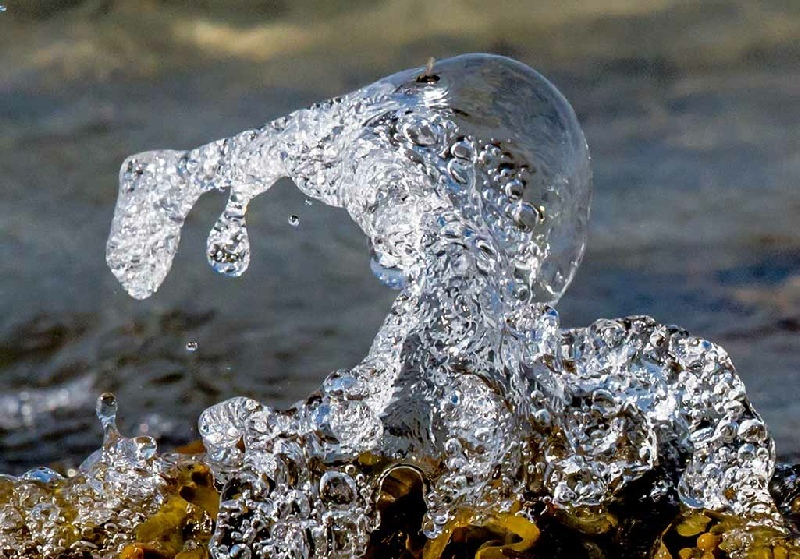 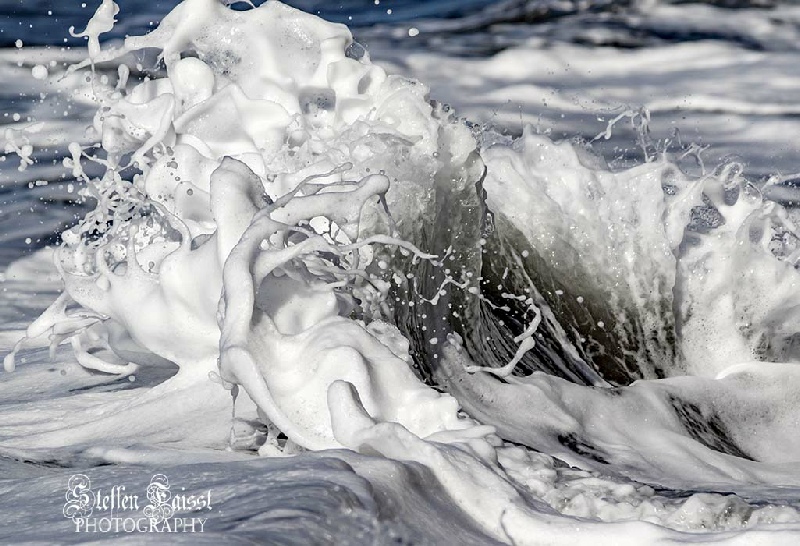 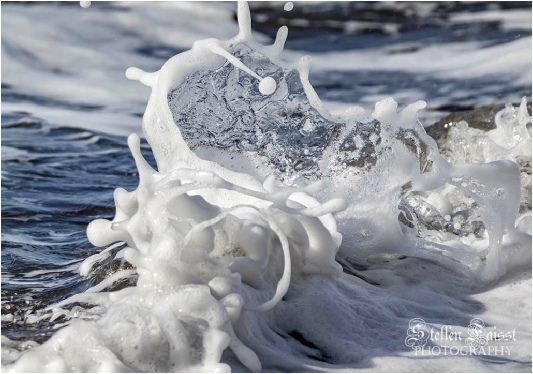 splashes - power, beauty and chaos! 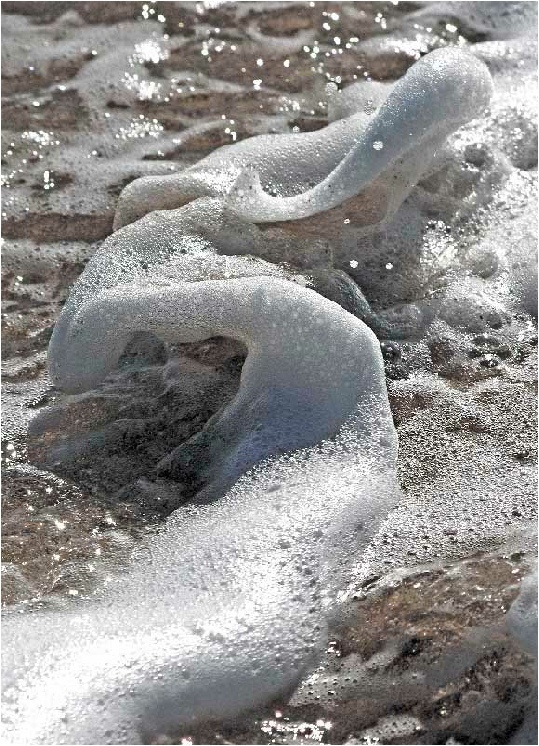 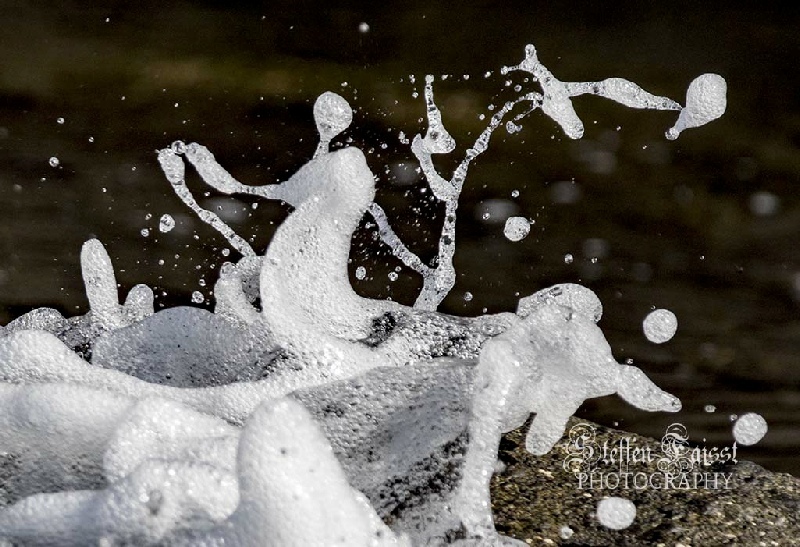 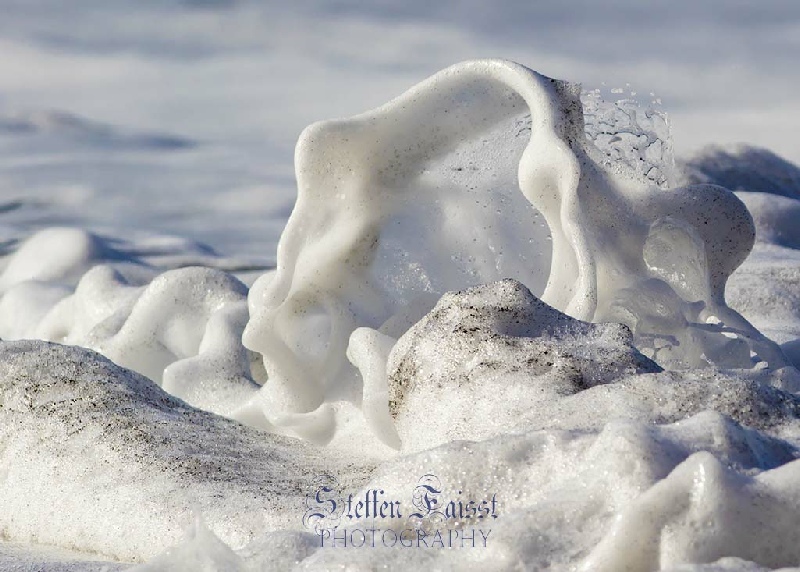 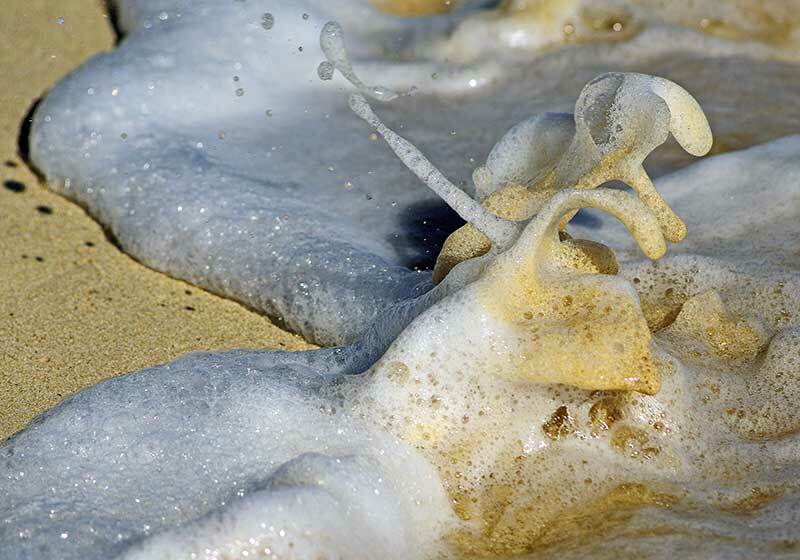 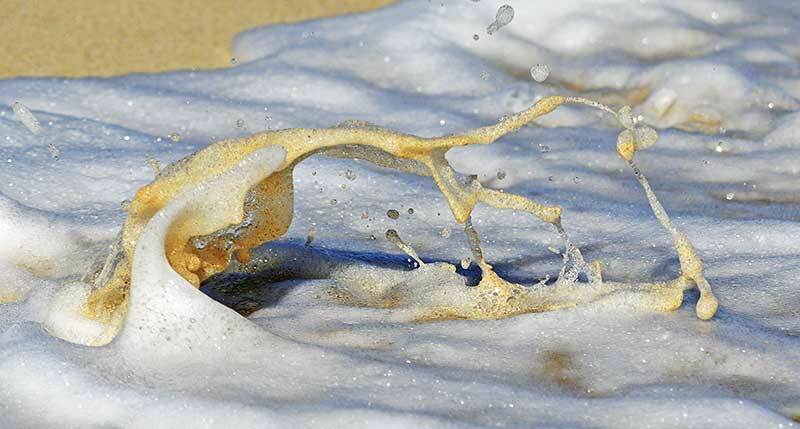 This series depicts the sculptural art formed by splashes at the shore or in mountain rivers. 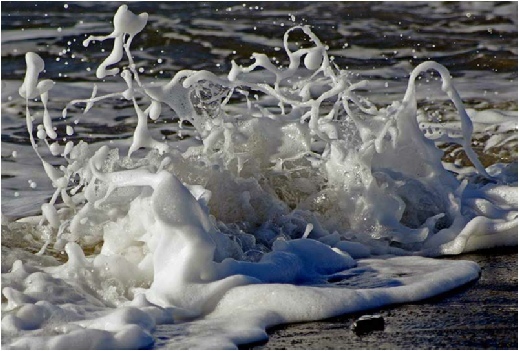 Again, my focus is on the small events, arising from small waves, and lasting only for split seconds. 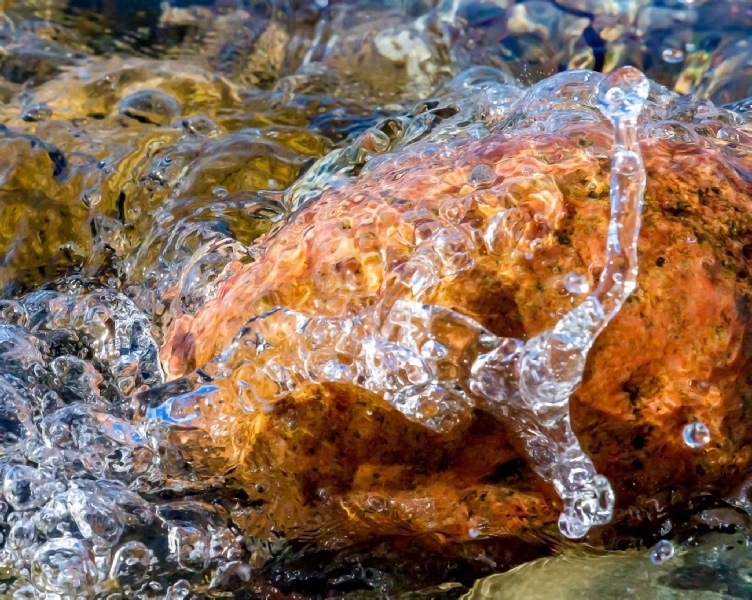 Taking these photographs requires to anticipate the event, and hitting the trigger before it occurs … often while lying with my stomach in the mud, and risking to immerse my camera. 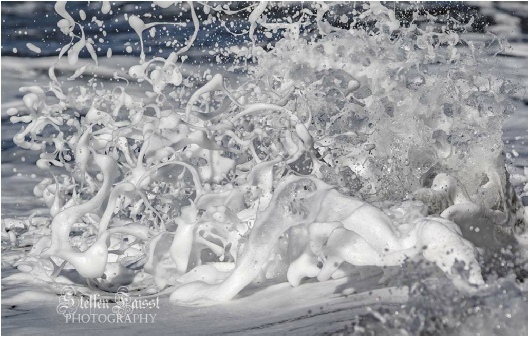 To order a print, please visit my shop to find out how to do.